Egypt's Supreme Council of Antiquities (SCA) closed the Great Pyramids on Friday after protesters said various groups, among them Jews, planned to attend a numerologist ceremony on the Giza Plateau. 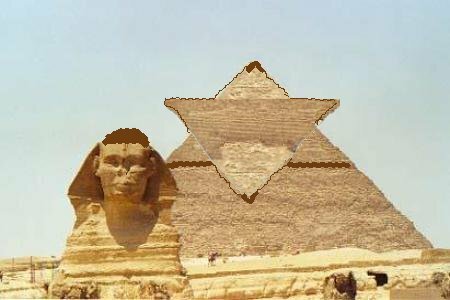 Egyptian media reported that some Egyptians feared that the event would be used by Jewish Masons to reclaim the Pyramids as ancient Hebrew structures, denying Egyptians their claim to the pharaonic monuments. One SCA employee claimed that a crew of 1,200 Jews were planning to attend the event, crowning the mightiest of the three structures with a Star of David in order to assert the claim that Jewish slaves built the pyramids, and not the ancient Egyptians, Egyptian daily Al Ahram reported. 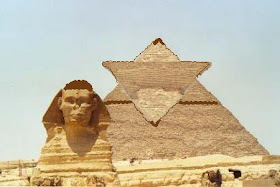 Former SCA Secretary General Abdel Halim Noureddin told Al Ahram Jewish Masons have been trying to cap the Great Pyramid since 1931 with the Jewish emblem, so this instance should not be surprising. According to a report from British daily the Telegraph, a Polish numerologist group had, in fact, received permission from the Egyptian government to hold a ceremony at the pyramids in order to protect the world from "cosmic forces" aimed at destroying Earth next year. The resulting commotion surrounding the event, including the attendance of Jewish Masons, pushed the SCA to cancel the event, called the "Ceremony of Love." I really have to start a new site just to feed wild rumors to the Arab press. Who needs an air force- we can get them to do whatever we want by just planting a few well-chosen stories.